In a world where we love our devices, everything is more convenient on the internet. 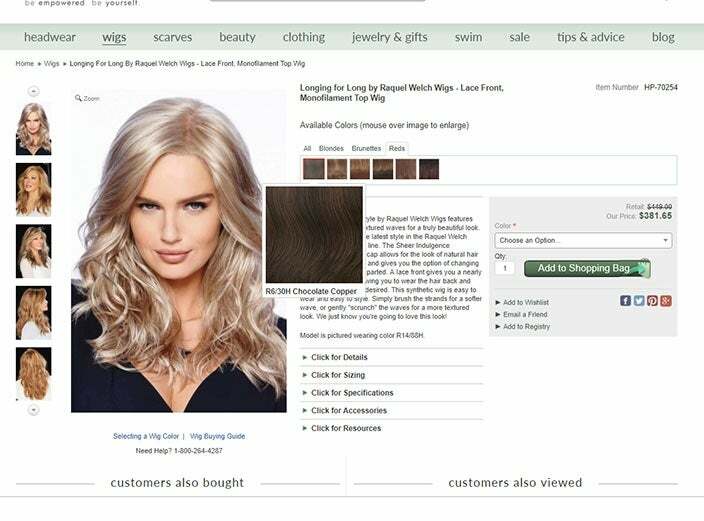 Looking online for wigs is no exception. 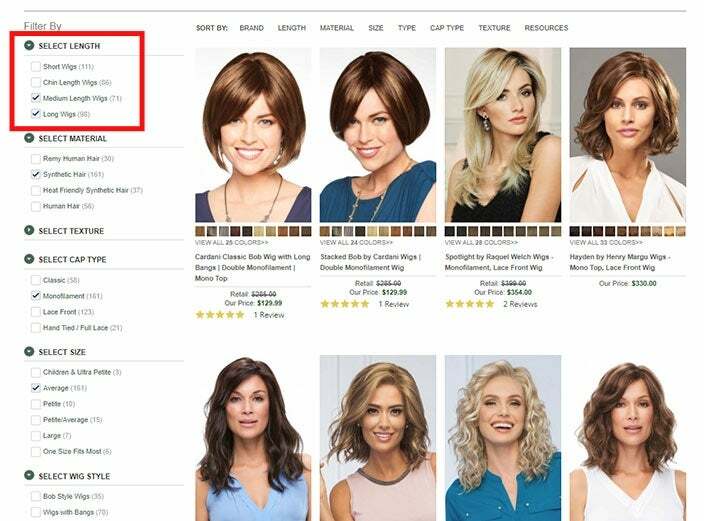 There are so many reasons why shopping for a wig online is a good idea, not the least of which is the ability to find your perfect match from the comfort of your own home. Still, there's a great big web-world, and knowing where to start can be daunting. 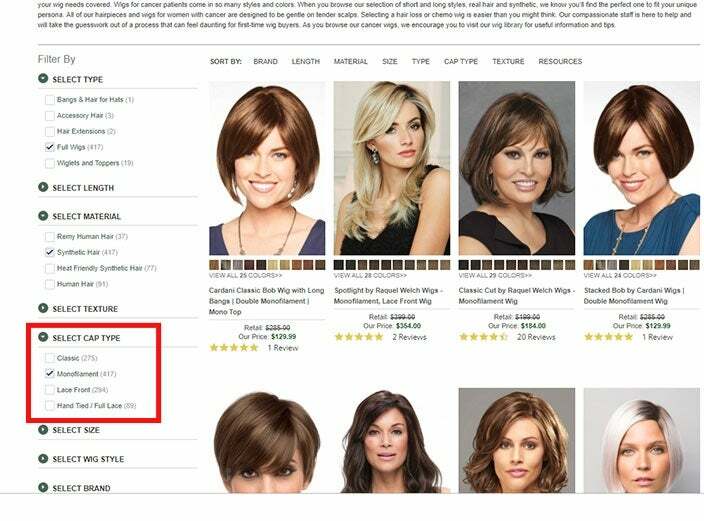 Here’s our guide to finding the best wigs online. When shopping for wigs online, the more you know, the less overwhelmed you’ll feel. Take some time to research what’s out there to help narrow your options. The two most important things to research are hair type and cap type. Do you want human hair or synthetic? Human hair requires more work to upkeep, but allows for more versatility in styling. Synthetic, on the other hand, will simplify your routine because all it takes is a squirt of water to recover the wig’s original shape. Also, you’ll need to decide what type of cap you want. In our online wig shop, we offer four types of caps: classic wigs, monofilament wigs, hand-tied wigs, and lace-front wigs. Each cap has something different to offer, depending on its construction. Check out our reference guide to get an idea of what might be best for you. 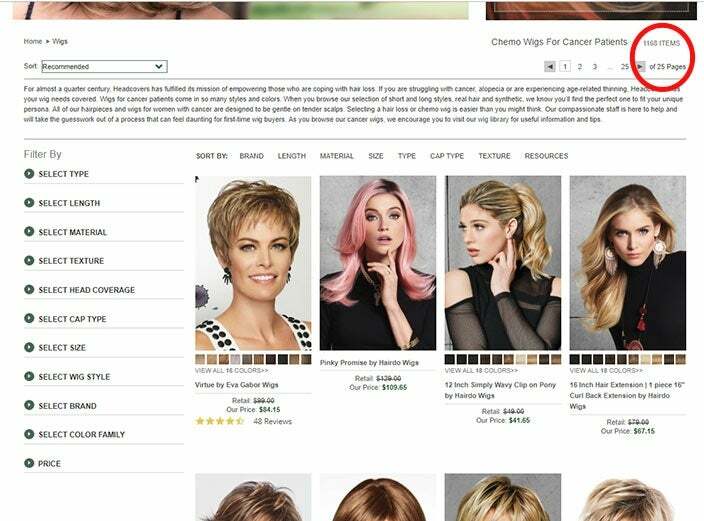 If you’re browsing through wigs online, you won’t be able to physically try on different options, so it can be hard to know what’s going to flatter you. The key is to determine what face shape you have. Stand in front of a mirror and trace the shape of your face with a bar of soap. What do you see? Is your face oval-shaped? Round? Diamond? Once you determine this, check out our Wig Hairstyle Guide for Different Face Shapes to see what we’d recommend based on your unique silhouette. Like any other article of clothing or accessory that goes on your body, a good fit makes all the difference. When buying wigs online, be sure to take accurate measurements of your head so that the wig will look and feel as natural as possible when worn. Check out our measuring guide to learn how to measure your head. Pro tip: have someone help you. A second pair of hands will ensure the most accurate measurements. After you’ve done some initial research, the next step is figuring out where to buy wigs online. Of course, at headcovers.com we have a vast selection of wigs to suit all different faces and tastes. But in general, the best advice is to shop somewhere that also has a retail location. That way, you’ll be buying from people with real hands-on wig experience, rather than someone who simply checks the product number and throws it in a box to ship. Once you find a website that you like, be sure to locate the phone number and physical address of the company so that you can get in touch with customer service if needed. That’s another reason why we recommend Headcovers; we’re based in the U.S., and we're always here to help when you need us. A good wig is an investment. 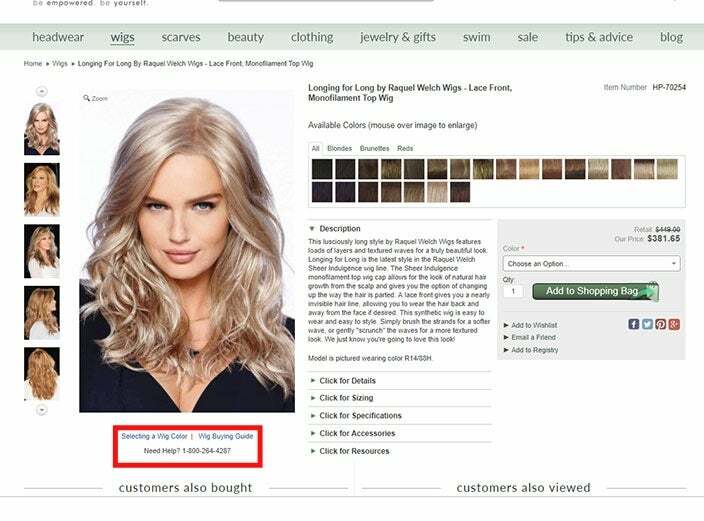 The best wigs online will certainly not be the cheapest, and you should be wary of anything that seems too good to be true. Only buy from authorized sellers, and make sure you read up on the company first to make sure they’re not known for selling phony goods. 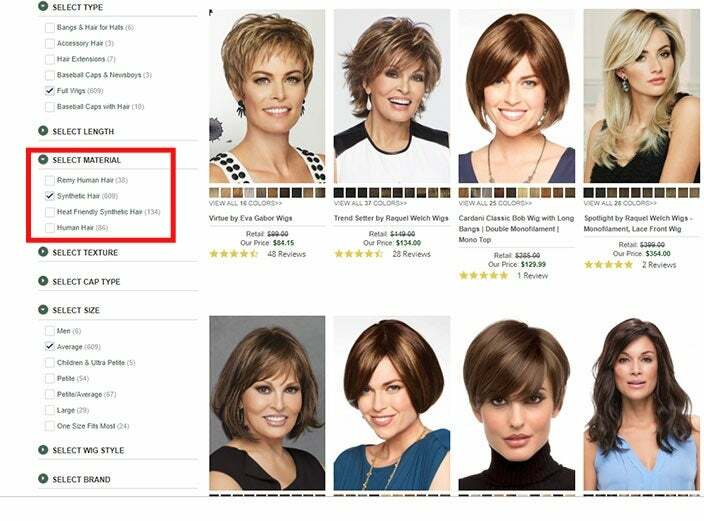 At headcovers.com we have some of the most competitive prices in the market for authentic, high-quality wigs, since we’re able to slash prices from the typical brick-and-mortar mark-ups. We may be biased, but our product is as good as it gets! Finding the best wig online doesn’t have to feel like swinging a bat in the dark. At Headcovers, we’ve got a team of experts here to support you in the color-matching process. If you’re set on buying the best wig online to match your natural hair color, send us a swatch of hair when you place your order. Our expert in-house cosmetologist will match your new wig to your hair color exactly. Even though you’re ordering from a computer screen, at headcovers.com there’s always someone waiting for you on the other side. 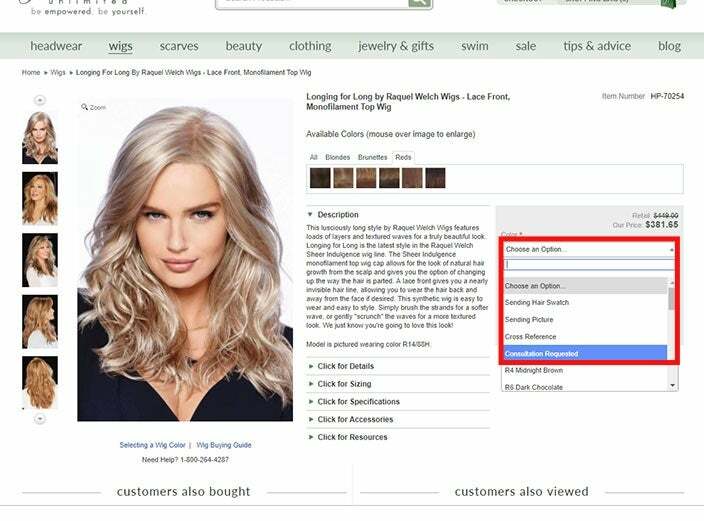 We're going to show you how to use filters to find a matching wig without having to sift through thousands of options. Let's begin on the Wigs page on headcovers.com. Here we are on the wigs page! As you can see, there's a LOT of wigs; 1168 wigs and 25 pages, to be exact. That's way too many! Never fear, filters are here! 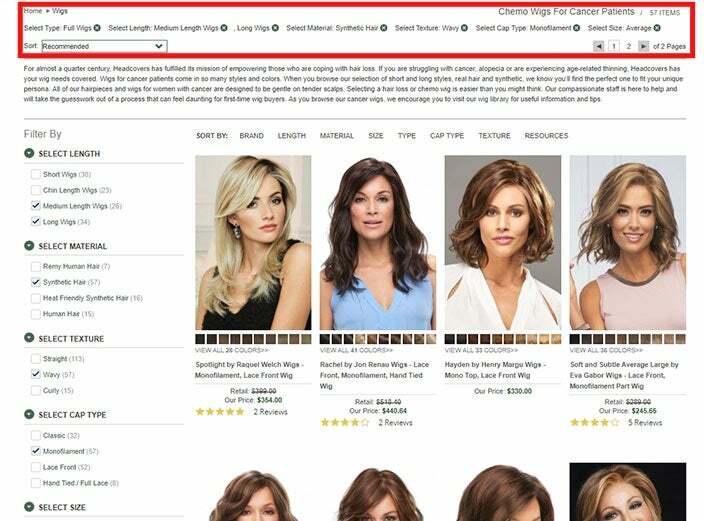 These handy little buttons on the left-hand side of the screen (note that if you on a mobile device, they will actually be at the top of the screen) let you narrow down the wigs so you can find what you're really looking for more easily. So many filters! What to pick? To most effectively use the filters, we recommend starting with the broad and moving on to the more specific, less important aspects of the wig. We'll explain more as we move forward. To start, I chose the type of hair piece I wanted; this is an important "non-negotiable" selection. If I want a full wig, hair extensions are completely useless to me, and vice versa. 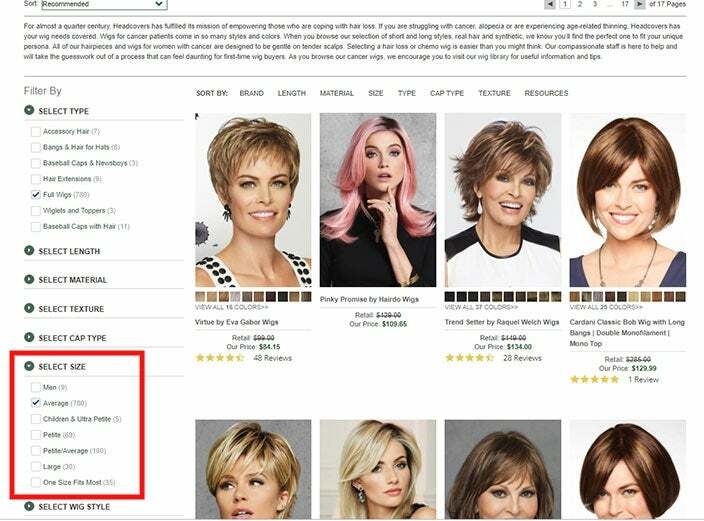 Since I am looking for a full wig, I clicked the "Full Wigs" button under the "SELECT TYPE" filter. Easy, right? Now there are 942 wigs. That's still too many. Let's narrow them down some more. Next, we'll select size. This is another "non-negotiable"; you simply can't wear a wig that isn't the correct size. My head is average sized, so I checked the "average" box under the "select size" filter. But there are still 17 pages of wigs to look through. Let's keep going. The next thing I want to select is material. 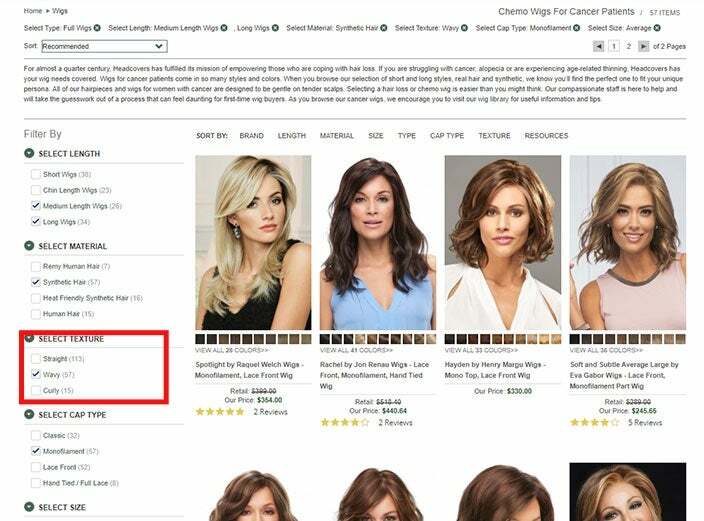 I only want to look at synthetic hair wigs because they do not require much maintenance, so I check the "Synthetic Hair" box under the "SELECT MATERIAL" filter. Now I have 609 options to choose from. Let's go further. After that, I selected another important option—cap type. 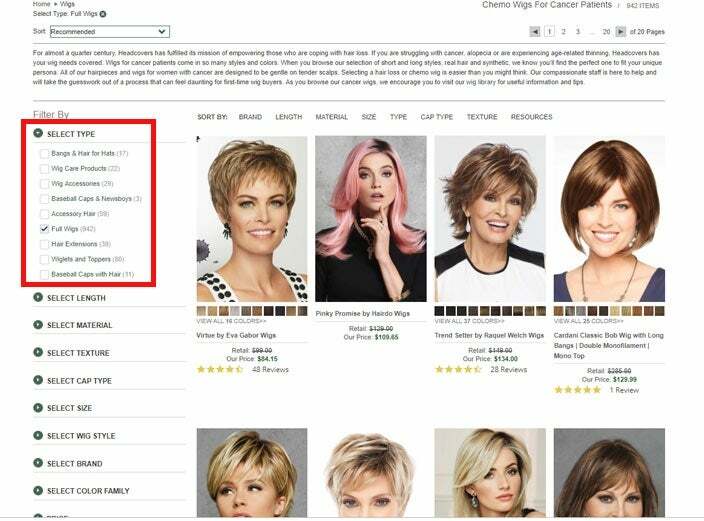 I checked the "Monofilament" button under the "SELECT CAP TYPE" filter to eliminate any wigs that don't have a monofilament top. Now, I have 417 wigs to choose from. I still want to narrow down my selection. Next, I filtered the length of the wig. Since the style I am looking for could be considered either medium or long, I checked both boxes under the "SELECT LENGTH" filter. Finally, I selected the texture of the wig. I checked the "wavy" box under the "SELECT TEXTURE" filter to match the beach waves in the picture. The filters I have applied appear at the top of the screen, as well as the number of wigs that fit my requirements. After applying the filters, I have 57 wigs to choose from; this is much more manageable than the original selection, which included over 1100 more wigs! With the filters, I was able to find the perfect wig in a matter of minutes! The wig is Longing for Long by Raquel Welch Wigs. Now I must select my color. As you can see in the picture, there are tabs that let me see specific color families. The girl in the original picture has brunette hair, but I want a more reddish color. I clicked on the "Reds" color family. Once I selected the "Reds" color family, I found a color that looks pretty good... but I'm not quite sure. Luckily, I can call and ask questions, or review the available resources for help! ...Or, if I click on the color pull down, I have several consultation options. I can select one of these options for a full color consultation. And that's it! 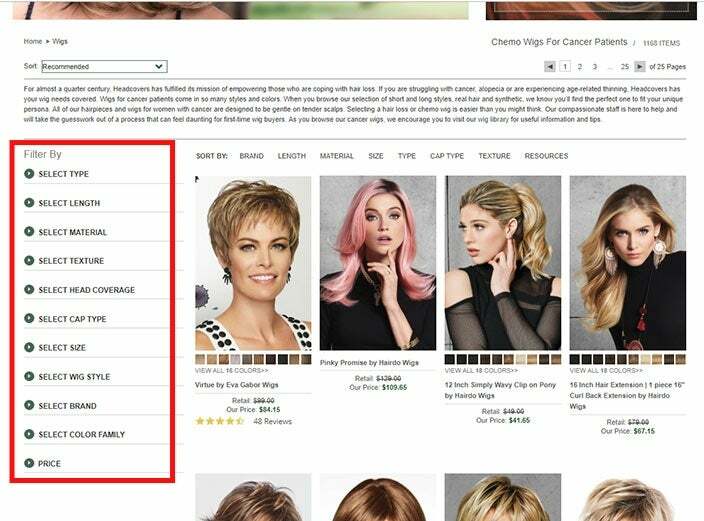 Through research, smart shopping, and the use of filters, shopping for wigs online is as easy as 1-2-3.